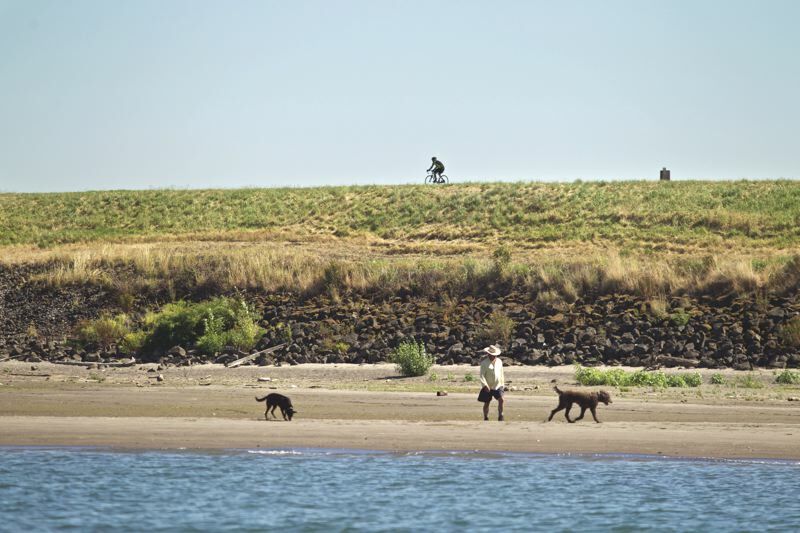 Columbia River levee system needs more funding to win federal approval, most of Multnomah County may be asked to share the funding load. Multnomah County property owners may be asked to help shoulder the funding load to bolster the 27-mile levee system protecting the Portland area from Columbia River floods. 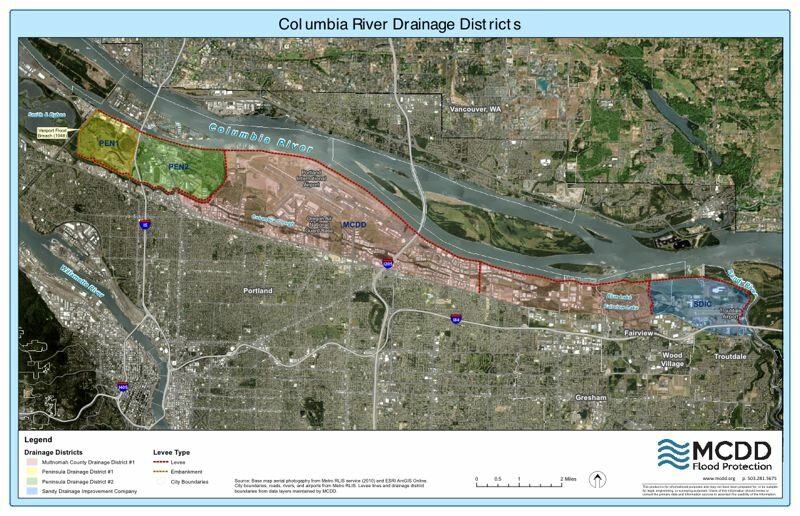 An intergovernmental team called Levee Ready Columbia is debating plans to create a water improvement district for all of Multnomah County that falls within the urban growth boundary. That would tax property owners to help maintain and improve the levee system, now borne mostly by residents and businesses in the Columbia River floodplain, along with occasional federal grants. "There is an unfair distribution, if you will, of benefits and burdens," said Stephanie Hallock, the project manager for Oregon Solutions, a state initiative that brought various parties together to form Levee Ready Columbia. Project leaders recently scaled back boundaries of the proposed water improvement district to just the urbanized part of Multnomah County, scrapping earlier talk of asking property owners in Clackamas and Washington counties to shoulder some of the funding responsibility. That came after a study showed 80 percent of the financial benefits from forestalling floods would accrue in Multnomah County, said Colin Rowan, Levee Ready Columbia project manager. After Hurricane Katrina and Hurricane Sandy, the federal government imposed stricter standards to certify levee systems are safe, which is essential to qualify for federal aid and flood insurance. Levee Ready Columbia formed four years ago to plot needed changes in the flood-control system and devise a broader way to pay for them. The panel includes delegates from cities, counties, the state, Metro, Port of Portland, property owners, and business groups. A report released Friday highlighted seven improvement projects, costing a total of $43 million, that will be needed to get the Columbia River levee system certified by federal authorities, Rowan said. Chief among them: an estimated $15 million to $20 million to replace a railroad embankment doing double-duty as a levee — the same one that breached in 1948, leading to the catastrophic Vanport Flood that wiped out Oregon's second-largest city. In addition, there's another $71.6 million of associated pump stations and piping improvements that will be needed in ensuing years. Those will eventually be needed to assure future federal certification. The proposed water improvement district would include two or three funding levels for residents and businesses. Property owners within the Columbia River floodplain would continue to pay the most but get some help. They'd pay a monthly utility fee to maintain the levee system and associated water pumps, plus some capital improvement costs. That would replace current assessments on their property, which are deemed property taxes, causing unfair funding shifts that impact other local governments relying on property taxes. A second tier under discussion would levy a new but lower utility fee on a broader swath of property owners outside the floodplain but within the Columbia Slough Watershed. The argument is that water from that watershed drains into the levee system and must be removed by the massive pumps and pipes. Lastly, the district would seek voter approval within the urban part of Multnomah County for bonds paying 75 percent of the cost of large improvement projects. Consultants calculated that a bond measure could cost owners of a house assessed at $200,000 about $1 a month, for 20 years. A century ago, the floodplain was mostly occupied by farmers. Decades ago, those farmers and other property owners came together to form four small taxing districts to pay for a system of levees and pumps to keep their fields free from flood waters. The floodplain is totally different now, including Portland International Airport, the Oregon Air National Guard base, the region's backup water supply, industrial parks, shopping centers, hotels, parks and waterfront homes. The four small taxing districts in the floodplain bear most of the funding load for a system that protects $16 billion in property, much of it vital for the rest of the region. A recent study by the Oregon state geology agency found that another major Columbia River flood breaching the levees — more likely in future decades due to climate change — could cause $1.4 billion in lost wages, and 24,000 jobs could be lost for at least a year. At Friday's meeting of Levee Ready Columbia, project convener Jules Bailey asked elected officials and their representatives for a "gut" check and to list remaining "red flags" that might derail moving ahead on what's proposed. No governance and finance model has been chosen, Bailey said, but "we are starting to narrow in on what that looks like." Shrinking the boundaries of the water improvement district to the urban parts of Multnomah County should be an easier lift politically, but there are still serious issues. Multnomah County leaders have been reticent to create a water improvement district or even referr such a plan to voters, Bailey said after Friday's meeting. "I think the county is concerned about liability," he explained. So, there's talk of work-arounds. "There's a possibility of a signature petition drive or a state legislative vote," Bailey said. The Oregon Legislature could be persuaded to create a district by statute. Or citizens would have to sign initiative petitions to create a water improvement district, and later vote to approve it, knowing it could drive up their taxes. 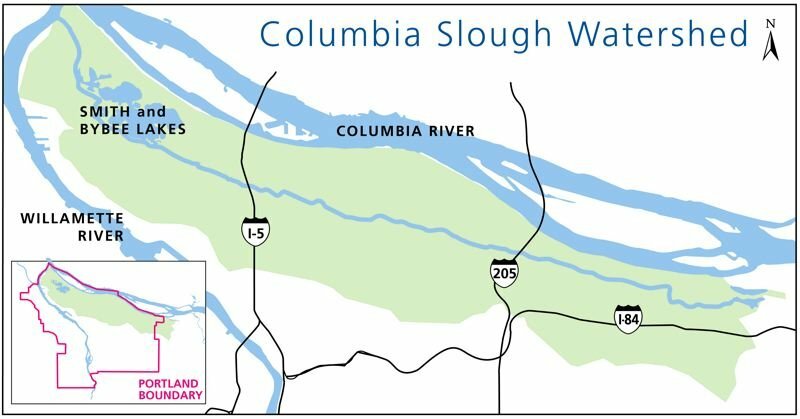 Property owners in the Columbia Slough watershed that are outside the floodplain would be affected the most if that funding option is chosen. While that's being sorted out, four cities with territory served by the levee system — Portland, Gresham, Fairview and Troutdale — are starting to work on an intergovernmental agreement that could arrange financing for more urgently needed levee system improvements. Levee Ready Columbia hopes the four cities can reach a deal this spring on short-term costs and then proceed on urgent projects. Then they hope to sow the seeds for a new water improvement district, culminating in a possible bond measure vote in November 2020.